Another person is dead in the Seminole Heights neighborhood of Tampa, Florida. 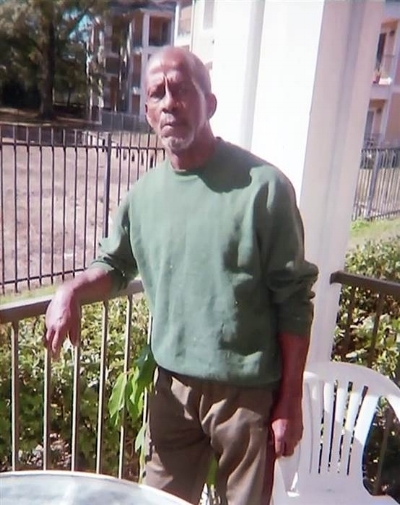 A shooter, seemingly at random, shot and killed Ronald Felton, a 60-year-old man who was on his way to serve the homeless at his local church, as he did every Tuesday and Thursday morning. Ronald was apparently walking across the street sometime before 4:51am when police arrived on the scene. Shots had been heard, and Ronald had been shot in the back. Three other people have been killed in just over a month’s span, making Ronald the fourth victim of a suspected, but unconfirmed, serial killer operating in the Seminole Heights neighborhood. All four deaths have happened within a 10 to 15 block radius of where Ronald’s body was found. On Monday, October 9th, 22-year-old Benjamin Mitchell was shot and killed while waiting for the HART bus on North 15th Street. The shooting occurred around 9pm, and Benjamin was near to his home. Angie Dupree, identified as Benjamin’s aunt, told Fox Tampa Bay that he was at the bus stop waiting for his girlfriend. She said that Benjamin “was either going to pick her up or was waiting on her to get out the bus because he didn’t want her to walk home alone. You can’t say that about a lot of kids, but you can literally say this about him: he was a good kid.” Benjamin was also a community college student and aspiring musician. Witnesses to the shooting described the shooter as a man in his early 20’s wearing a dark jacket. He was seen running from the area. Police did release a video of a person of interest, though the person is not considered an official subject. And then, four days later on October 14th, a City of Tampa worker found 32-year-old Monica Hoffa’s body in a grassy vacant lot, only a half mile from where Benjamin’s body was found. A neighbor reported hearing five gunshots the evening of Monica’s murder, which police say occurred around 8:45 pm. It is assumed that, like Benjamin, Monica was shot while walking alone in the dark. Her father, Kenny Hoffa later confirmed this, stating that Monica was headed to meet a friend. He also told the media that his daughter spent much of her time interpreting for her deaf mother while also working as a server at a restaurant. "Because my daughter made a difference in this world, I just hate it that someone took that from the world and me," Kenny said. "She had a great sense of humor. She was a good person." Five days later on October 19th, 20-year-old Anthony Naiboa was found dead just minutes after he was shot by an unknown assailant around 8pm. Anthony’s father, Casimar Naiboa, has said that he believes his son took a different bus home from work, where he packed hurricane relief supplies, since his usual HART bus had been rerouted. Anthony, who was autistic, had been working on becoming more independent, Casimar told the media. Anthony took a bus he believed would get him home, but instead he ended up in the unfamiliar neighborhood of Seminole Heights, and was shot and killed just 100 yards from where Benjamin’s body was found. The Route 9 bus, which authorities believed to be a common thread in the shooting, was rerouted after a connection was made to the locations of the shootings. Then, on Tuesday November 14th, a fourth body, that of Ronald Felton, was found after an almost month-long reprieve from the killings. Witnesses say they heard five shots around the time that Ronald was killed, and local police arrived just a minute later. “The family is just torn. My family is taking it real hard.” Ronald’s brother James told the media. Witnesses have again described the shooter as wearing black clothing. They also described him as a light-skinned black man around 6 feet tall with a thin build. He was said to be carrying a large black pistol. Because police were able to respond to the most recent shooting within a minute of it happening, they were able to take quick action: "They locked down the neighborhood immediately, and so they hope they have created a giant box around where shooter was and believe he is somewhere in there. They are hoping they have him boxed in and are going door to door combing the houses," said Stan Lassiter of the Seminole Heights Neighborhood Association. Tampa’s police chief, Brian Dugan, believes that the killer is from the area. “I believe that this person lives in this neighborhood. We are systematically searching the neighborhood, going through yards, we’ll be knocking on doors, searching houses, that kind of thing, and we need people to cooperate with us,” he said. As stated, Police have been able to find no motive connected with any of the four murders. All were killed in the dark while walking alone, and none of the victims were robbed. There has been no evidence that the killer knew his victims, or that there was any altercation that led to the shots being fired. Unfortunately, authorities were unable to locate a suspect during their search on Tuesday. Police have stated that the person of interest may have a habit of flipping and catching his cellphone, as seen on surveillance footage. After 450 tips poured in on Tuesday, police also put out another surveillance video on Wednesday morning. Police believe that someone will recognize the person in the video. Police are asking the community to consider anything out of the ordinary that they may have seen. "We need folks to think about everything they heard last night and everything they saw this morning," Tampa Mayor Bob Buckhorn said Tuesday morning. "We need to catch this killer before we have to notify one more family that their loved one is dead." "I need the Seminole Heights community to stand up, and I need them to point out who that man is," he continued. Police suspect that the gun may be stolen, and have asked the community to check to see if any guns they may own are in the last place they left them. “If you own a gun and you think you know where it is, check to make sure it’s there,” Hegarty said. The community has been on edge since the string of murders happened in October. Seminole Heights resident Renee Campbell summed up the general feelings of her community in an interview with the Washington Post: “It’s been a very rough couple of months. We’ve had to change all of our patterns, if you will. We don’t walk the dog anymore twice a day. We don’t sit outside as much as we used to. We used to sit on the front porch and chat after dinner. Now we do it in the back yard, if we go out at all.” Ronald’s death occurred just a block from her house. Other residents expressed similar nervousness, but also felt committed to living their lives without buckling under fear: “We don’t want to stop going out because of this one thing,” said resident Rachel Grannan, after conceding that she no longer walks her dog alone at night. Regardless of how residents are handling the potential that a serial killer is living in their neighborhood, there is one thing they can do, and that is relay any information they may have, no matter how seemingly insignificant: “There is no little detail that can be left unsaid here,” Chief Dugan said. Tampa police, in conjunction with the FBI are offering a $91,000 for information about the killings. You can leave an anonymous tip here.